C SFA scholarships, formerly awarded by the Ladies Auxiliary of the CSFA, are back! The new CSFA Scholarships, for children and grandchildren of CSFA members, will now be administered by the CSFA Historical Society, (a separate 501c3 that is affiliated with CSFA) through the CSFA Historical Society Scholarship Fund. Donations to the CSFA Scholarship Fund are welcome and are tax-deductible. 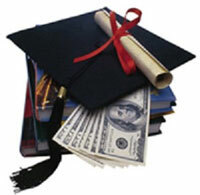 The first scholarships were awarded in fall of 2012. A scholarship application can be obtained from the CSFA office in Sacramento or downloaded from the CSFA website starting November 1 of each year. The deadline for submission of applications is March 1 -- no exceptions. At this time, the scholarships will be between $250 to $1,000 depending on the amount of donations collected throughout the year. They will be awarded each year as follows: One scholarship will be offered to applicants from the Northern CSFA Division, one from an applicant from the CSFA Central Division, and two from applicants from the CSFA Southern Division. If the Scholarship Fund Committee is able to collect more donations then there will be more scholarships awarded, provided there are quailed applicants. Applicants must be children or grandchildren of CSFA members in good standing. Students attending 4-year universities, community colleges, or technical or trade schools or colleges may apply and will all get the same amount no matter what type of school is being attended. DONATIONS - The Historical Society Scholarship Program operates exclusively using donated funds. Please help us continue to help the children of our fire family.